This week we have released Milton, a WordPress theme that is quick to install, easy to use and flexible to fit many preferences. Here’s a quick rundown of the theme’s features. Before we begin, please take a look at what the homepage of our Milton: Church Demo looks like, to better understand the theme features described below. 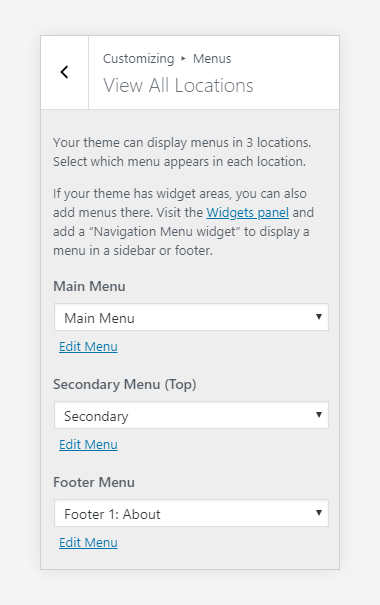 Just like with the rest of our themes, we try to make the themes as easy to use as possible. For this reason Milton will not bother you with hundreds of theme options, settings, checkboxes, sliders and other time-consuming controls. Only the essentials that you will really need. The header (logo + main navigation) can be either left-aligned or centered. Simply tick the option that you prefer and click Publish. 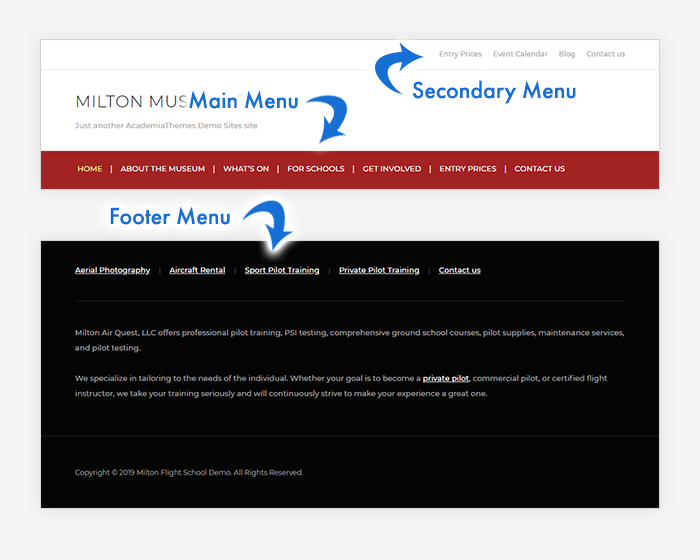 Milton comes with 3 built-in menu locations: Main Menu, Secondary Menu (Top) and Footer Menu. Of course all three are optional, so you can add a menu only where you need one. 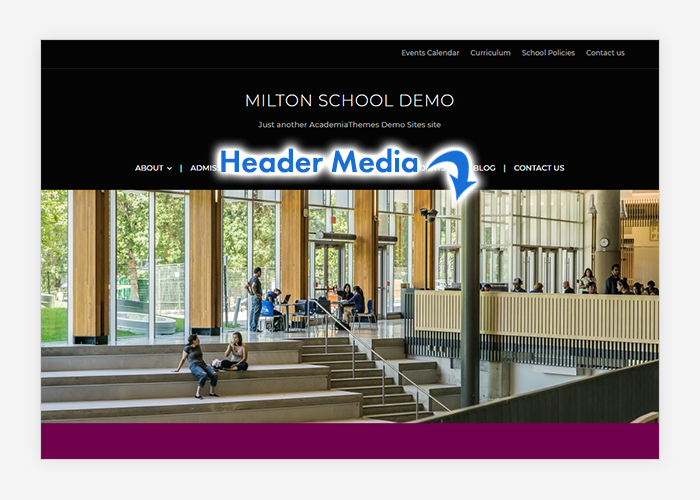 Milton can display a large image in the header of every page, between the main menu and the page’s main content area. The Header Media on the Homepage can be an image or a video (self-hosted or from Youtube). As the video is played automatically on page load, we do not recommend uploading a large video, it’s best to keep it short and light. 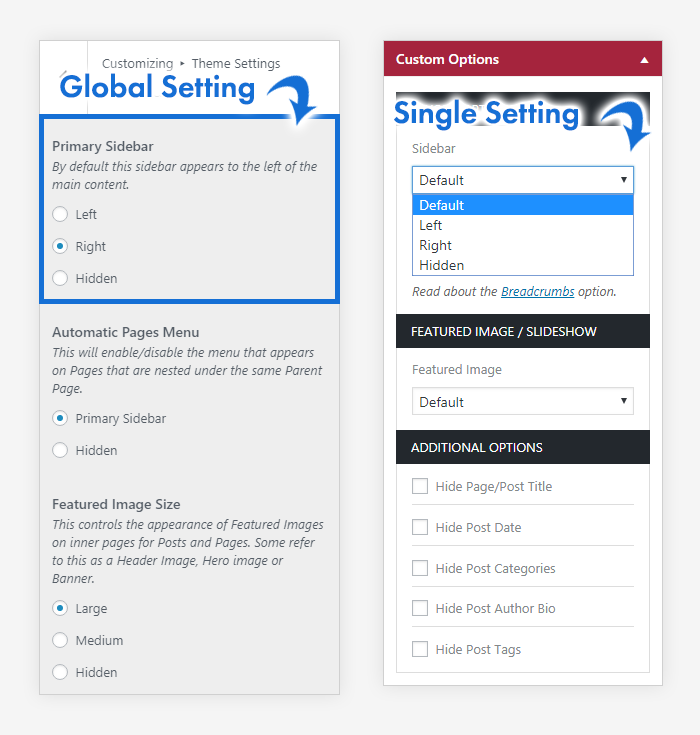 The theme will display the Featured Image of a post or page in the same area, between the main menu and the main content area, but you can easily change that. There is a global setting that changes the size/location of the featured image for all pages and posts (left). You can overwrite the global setting on select posts and pages (right). This is what the two different header media sizes will look like on a standard blog post (when sidebar is enabled). Milton was developed with a classic two-column layout. You can however control the appearance of the sidebar: on the left, right or none at all. 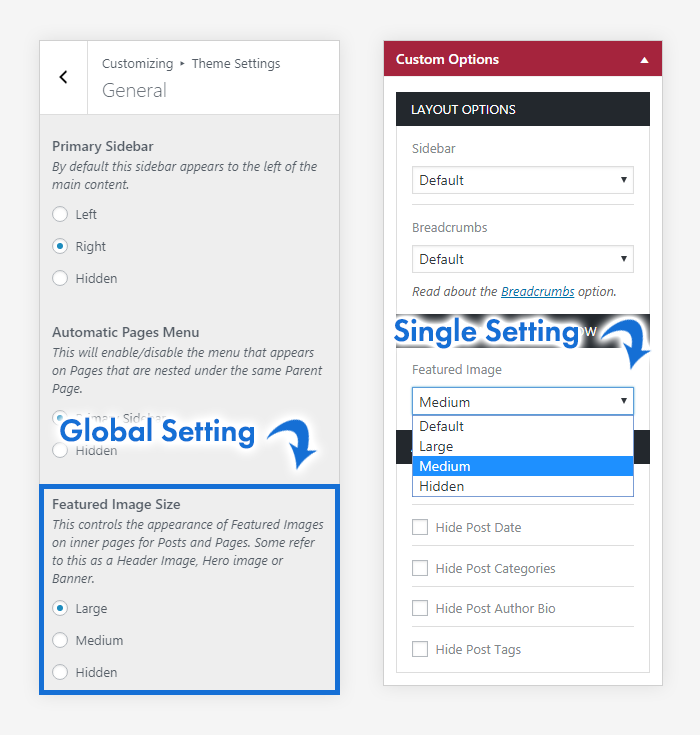 Just as with the Header Media size, there is a global setting that affects all pages and posts, and a local setting that lets you choose the appearance of the sidebar on individual pages. The footer of a website is as important as any other part of it. 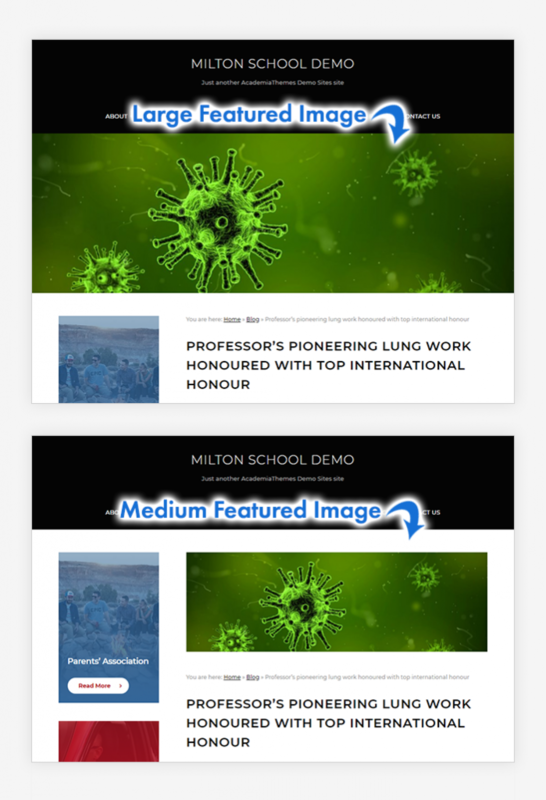 For this reason Milton Theme lets you control the structure of your footer. 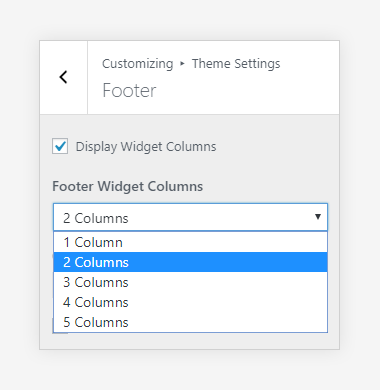 You can choose the number of columns that your widgets should be split in, from 1 to 5. We have a blog post with 40 examples of great education website footer designs for your inspiration. 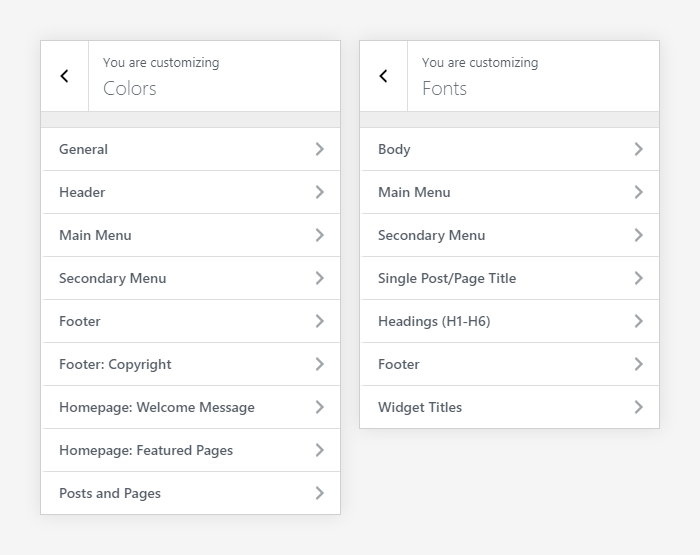 You can also change some of the theme’s colors and fonts to better match your brand. This means that you can easily create a unique color palette for your website and make your theme stand out even more. Milton comes with 6 pre-built website demos. Thanks to our built-in One Click Demo Import feature, you can easily import any of these demos for an even easier start with the theme. 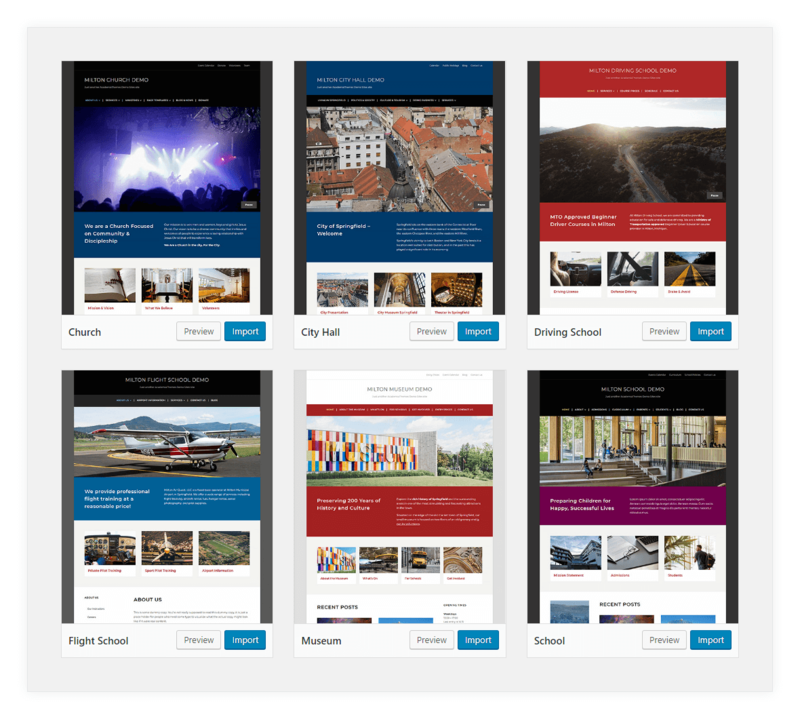 All in all, Milton can be a great foundation for your new WordPress website. 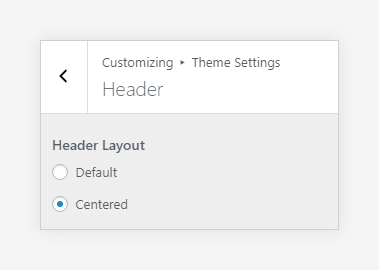 It works great right out of the box, while the customization options make it incredibly easy to adjust the theme to your very specific and unique needs. I hope this presentation will convince you to give Milton a try. And don’t forget that every theme purchase comes with one year of free updates and support. We are here to help you create a great new WordPress website for your organization.